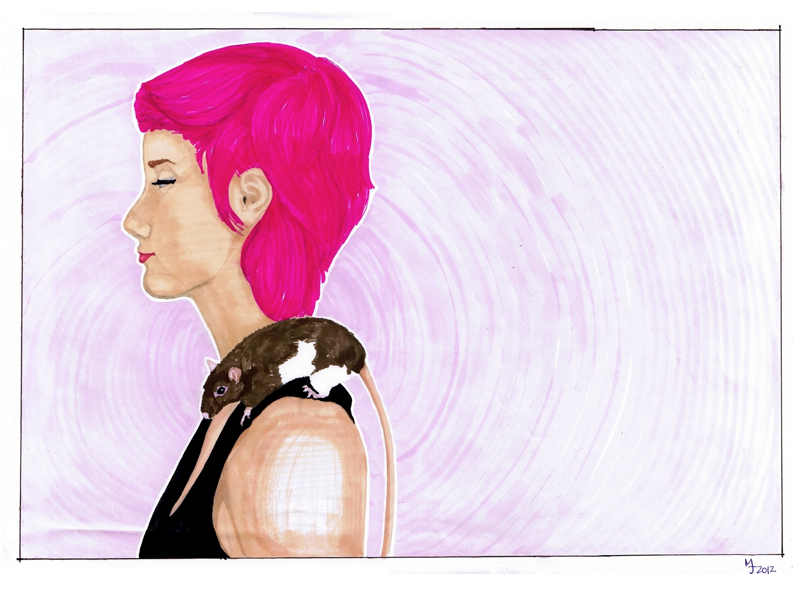 I'm challenging myself to start a new series of portraits on the topic of people and their pet. I even came up with a title : Animal Connections. The goal is to produce 100 of them (OMG... sounds scary) and this is the first one. I'm using a Bleedproof Market Pad from Letraset that has been sitting on my shelves for years. I'm glad I'm finally making use of them.